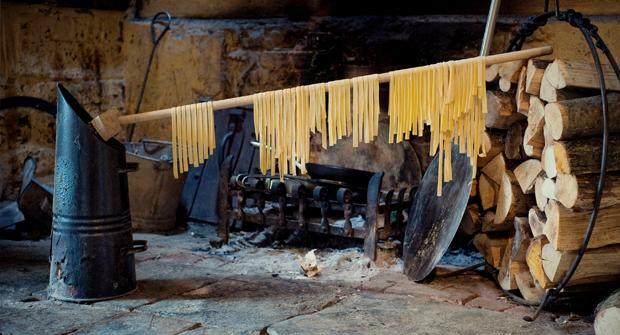 Our Pizza and Pasta course is a celebration of Italy’s most beloved carbohydrates. 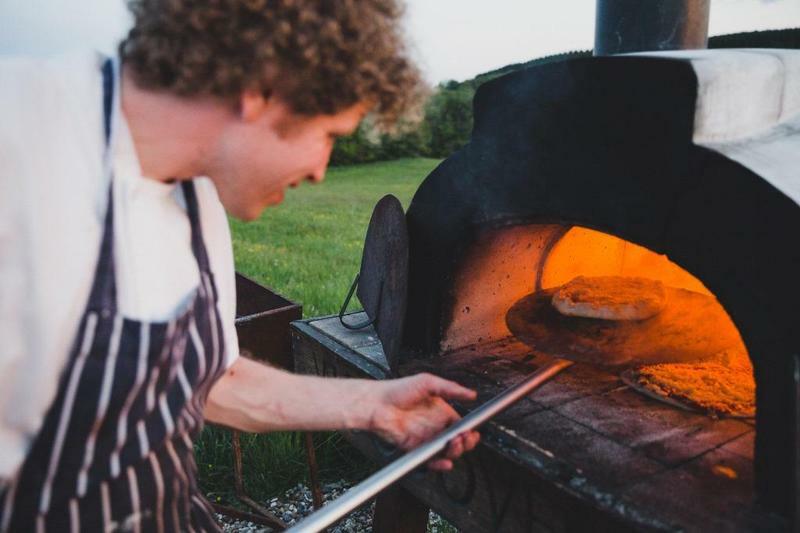 This Italian cookery course is a brilliant day of learning, exploring and eating, set against the quintessentially British backdrop of River Cottage HQ. Using homegrown and locally-sourced ingredients, you’ll learn how to make fresh pasta, wood-fired pizza and delicious sauces from scratch. You’ll start with great pizza dough and a selection of organic toppings to make your lunch, then move on to craft fresh pappardelle and ravioli, gorgeous sauces and pesto. And of course, you’ll finish the day with a hard-earned feast. First you’ll learn how to make pasta dough from scratch, which will rest until you need it later. 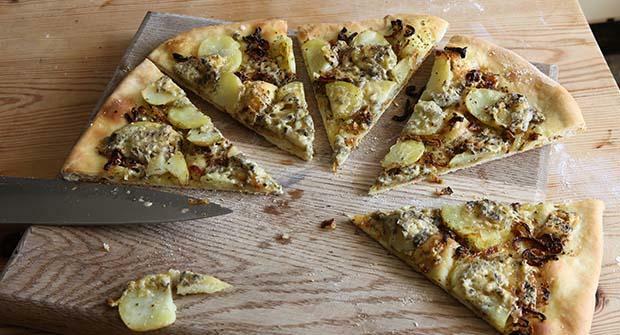 You will start the pizza process by making the dough, using stoneground organic flour. Next you’ll prepare your choice of organic ingredients from River Cottage and our local growers, ready to top your pizza. Time to roll out your dough, then make your pizza. Then cook it in one of our wood-fired ovens for your lunch. Once you’ve eaten your handiwork, it’ll be time to roll out some of your pasta into pappardelle ribbons and hang it up to dry. You’ll roll out more pasta to create ravioli, stuffed with a selection of different fillings. You’ll take your fresh pappardelle and turn it into a traditional pasta carbonara for your starter. Then it will be time to poach your ravioli, and finish off the dish with homemade pesto. After all your hard work, you’ll sit down to enjoy your handmade Italian feast. Sorry, we’re afraid this course is not suitable for those who follow a gluten free diet, however, we do run a Gluten Free Italian course which would be suitable. Please get in touch if you need further details.